Send a trip enquiry to this agency Rachitha’s team speaks English and specialises in tailor-made tours. Our local agency is made up of a multi-cultural team who specialise in creating unforgettable getaways to the incredible island of Sri Lanka, once known as Ceylon, with its emerald-green landscapes made of mountains and endless tea plantations, mythical history preserved in ancient monuments and temples, the amazing endemic wildlife to be observed through a safari, and relaxing palm-fringed beaches that feel like Heaven on Earth. We are also committed to working closely with local populations and are sensitive to the environment around us. Sri Lanka offers a lush nature that is important to be preserved. We highlight establishments that have an ecological sensitivity, and providers who seek the welfare of animals and the protection of flora. 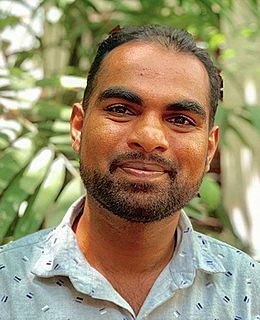 Meet the friendly specialists at Rachitha’s agency. Let them know what type of trip you'd like and start customising your perfect tour. Browse Rachitha’s customisable tour ideas. Escape to the exotic paradise of the Indian Ocean’s perfect romantic island. 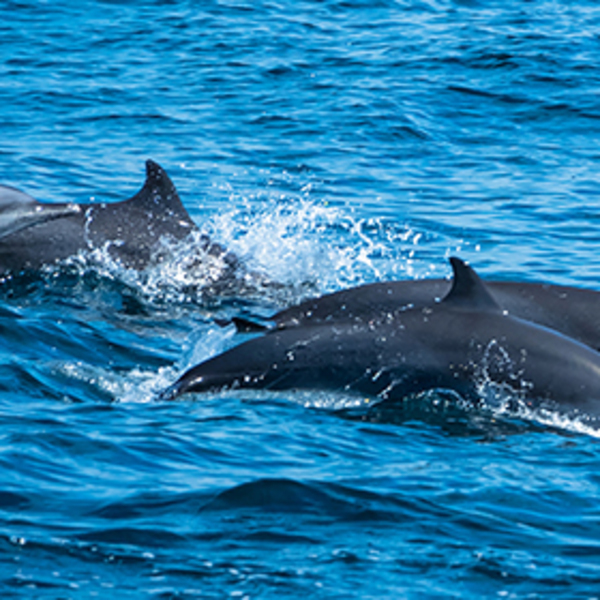 The crystal clear waters await you in a combination of some of Sri Lanka’s and Maldives’ alluring resorts. Discover the classic highlights of Sri Lanka while staying in cozy boutique hotels with personalized service. Go on an action-packed discovery of Sri Lanka’s natural wonders, see the sunrise from the top of Adam’s Peak, go rafting on Kelani River, hiking in the Knuckles Range, trekking to the famous World’s End and Ella Rock, rock climbing, cycling, surfing, yoga... There is an adventure for everyone! Take a seaplane on the way to a luxurious water villa on stilts in the Maldives, a true lovers’ paradise for diving and snorkeling in the colorful coral reefs. Make some of the best memories of your lifetime! Whatever your desires and passions are: adventure, culture, nature, meetings, change of scenery, relaxation...you will find your happiness in the Pearl of the Indian Ocean! This little island is full of surprises and beautiful smiles. Kalpitiya, situated on the north-western coast. Still undiscovered by mass tourism, this beautiful corner is reputed for its stunning coral reef! Elephants... The giants of the island! These pachyderms are truly the pride of our nation. 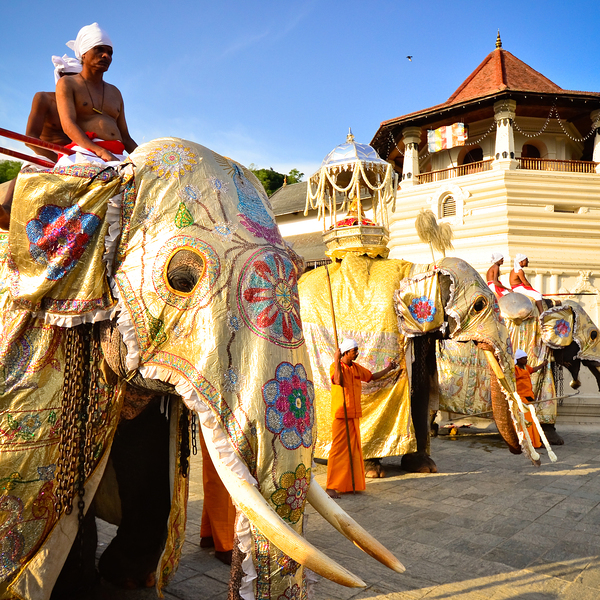 The annual parade of traditional dancers, acrobats, fire-eaters, and decorated elephants, which takes place at the Temple of the Tooth in Kandy. Why not try a Sri Lankan homestay? 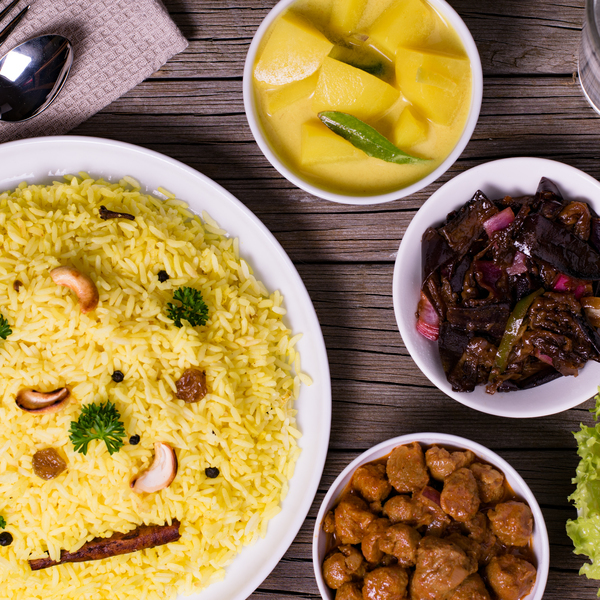 You can choose to spend the day with your host family and learn how to prepare a delicious Sri Lankan curry. Our agency is incredibly sensitive to the wonderful environment surrounding us and we are committed to working closely with both local populations and local service providers to keep more money in the country. 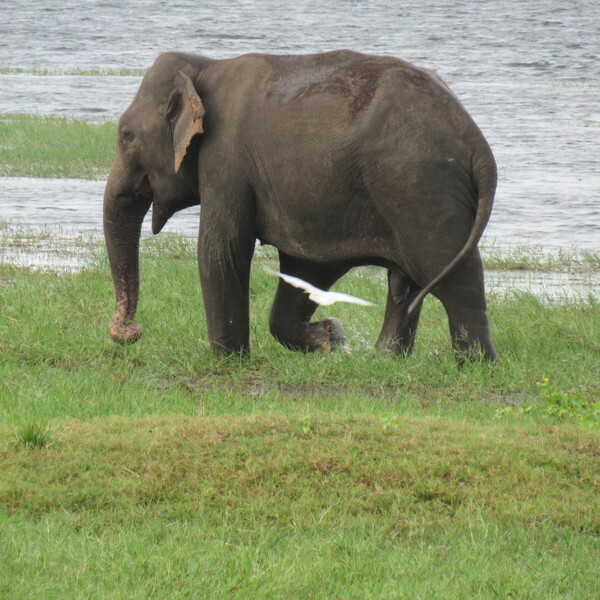 Sri Lanka also boasts amazing, lush nature that it is our responsibility to preserve. We therefore only work with locally-run establishments that are involved in taking measures to minimise the impact of tourism on the country's culture, landscapes, and ecology, and that are committed to protecting the welfare of Sri Lankan animals and flora. Our first night accommodation was not the best start to our journey. However we were meant to take a helpicopter but it was cancelled.